In the 1870's, economic distress prompted mass emigration from Iceland. 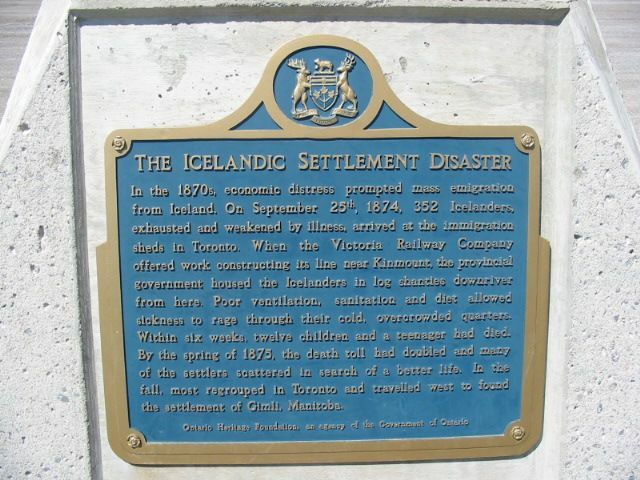 On September 25th, 1874, 352 Icelanders, exhausted and weakened by illness arrived at the emigration sheds in Toronto. 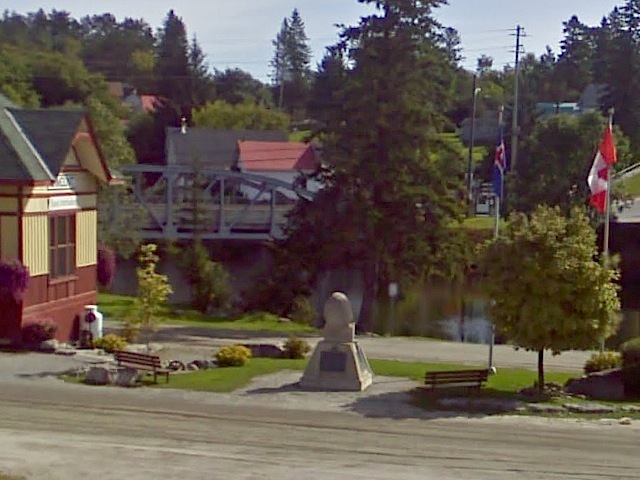 When the Victoria Railway Company offered work constructing its line from near Kinmount, the provincial government housed the Icelanders in log shanties down river from here. Poor ventilation, sanitation and diet allowed sickness to rage through their cold, over-crowded quarters. Within six weeks, twelve children and a teenager had died. By the spring of 1875, the death toll had doubled and many of the settlers scattered in search of a better life. 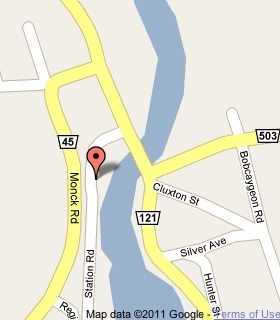 In the fall, most regrouped in Toronto and travelled west to found the settlement of Gimli, Manitoba. Is there any listing of the people that died and are buried there as my ancestors came through Kinmount and one of my ancestors died as an infant while at Kinmount? This plaque is displayed in three languages -- English, French and Icelandic. 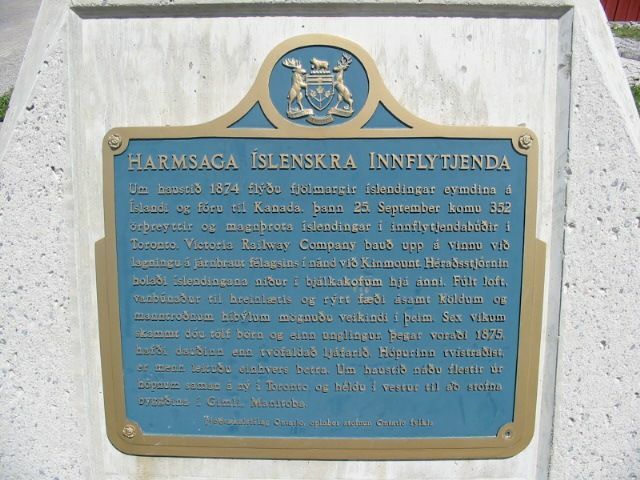 Another plaque also is displayed with the names of those you died in the Icelandic Settlement Disaster.